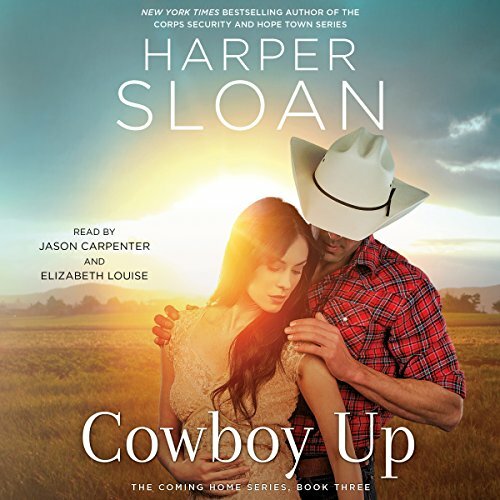 New York Times best-selling author Harper Sloan returns with the third in her sultry, Western-set Coming Home series, in which the eldest Davis sibling, Clay, may have finally met his match - but will he be able to give up the solitary, quiet life he's built in the name of love? As the eldest of the Davis clan, Clayton has always tried to lead by example. Along with taking his job as head of the family business seriously, he is also determined to keep his brother and sister in line. Clay is known for being serious, silent, and stoic - completely in control of his life. And with the way he grew up, coupled with a disastrous end to the last relationship he was in, he's just fine with his quiet, solitary life. What he hadn't counted on was Caroline Michaels. She's the proverbial woman next door - the town next door, that is. Caroline hasn't lived an easy life, but after escaping from an abusive relationship, she's finally living for herself and no one else. The last thing the quirky, shy bookstore owner expected was a steamy one-night stand with Clay Davis. When Caroline and Clay meet, the connection is instant, both falling into one heated night of passion before parting ways - both driven by their own reasons to deny what they clearly wish didn't have to end. It isn't until Caroline falls on hard times and Clay comes back into the picture that they realize just how impossible it will be to stay away from each other. ©2017 E. S. Harper. All rights reserved. (P)2017 Simon & Schuster, Inc. All rights reserved. This is the perfect ending to this beautiful series!! Loved the Davis family! Caroline is perfect for Clay. Best series I have every read or heard . Best series I have every read or heard in my 52 yrs!! I wish more were out there like these. We still have Lucy and Luke, can we get at least one more book with and update on Davis family and Lucy & Luke?! I listened to the whole Coming Home series, and although the stories are somewhat similar, I enjoyed each one. I especially loved Jason Carpenter’s performance. What a great series. so sweet. Good narration, also. I laughed and cried during all 3 books. I absolutely loved The Coming Home Series. Cowboy Up was a perfect ending and I had been itching to know more of Clayton's story. He was exactly the man I thought he was, hard as nails on the outside and sweet as candy on the inside. Thank you Harper for sharing this family with us! By far my fave of the trilogy. Clay is a man you put your faith in. He is a man who you can’t help falling in love with. I knew in Book One he would be the one who stole my heart. Harper Sloan saved the best for last and ended this series with a bang.